Come To Me Candle-Draws In What You Need Quickly! This listing is for one, one day Come To Me Working. This is for a service I will perform on your behalf. 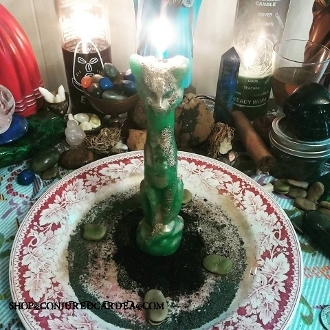 Come To Me workings can be used for fast results in emergency situations such as employment, or anything else related to prosperity that you wish to draw into your life quickly. Each working includes a hand loaded, dressed and fixed candle, petition, use of corresponding oil, powder and incense. Photo is an example of one working performed for a client, yours may vary. *Spiritual work is never guaranteed. Not every treatment or therapy is helpful for every person.